There's a fine line between a good Halloween prank and a heinous October 31st crime. Here are some great pranks, a few that backfired some which are genuinely terrifying, and what you'll need to perform your own. The result? The kid who answered the door ran away, broke his leg and sued for £80,000. What's great about this one: This clearly wasn't a whim. The teacher had plenty of time to change their mind in the lengthy time it must take to purchase a chainsaw, and still went through with the whole thing despite it being an obviously stupid idea. What you'll need: A chainsaw, a psychopathic temperament and around £80,000. Requirements: A bin, a mask, a top hat and a willingness to be punched in the teeth. Harvard medical physician Dr Steven Schlozman went on "Cost to Coast" radio in America and warned everyone about the impending zombie apocalypse. 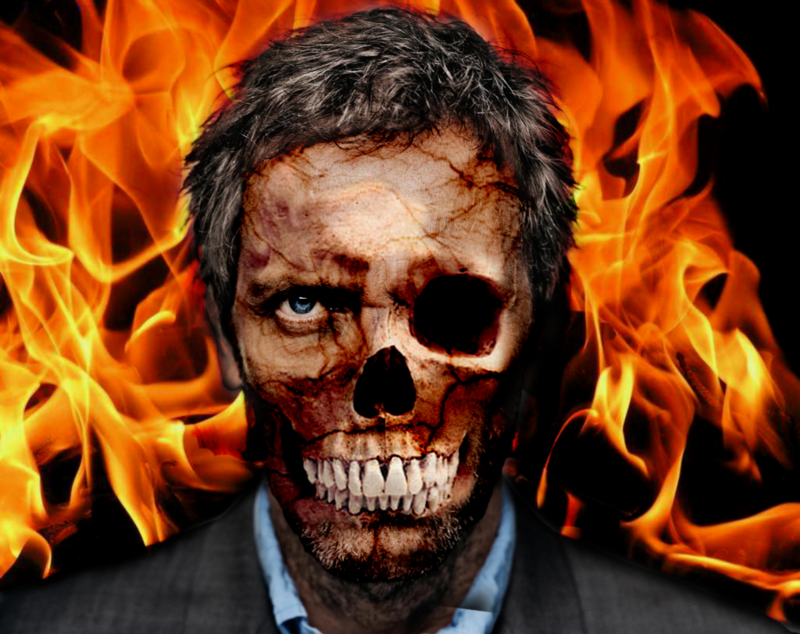 He told listeners a zombie virus had been created by hedge-fund managers to try and crash the stock market. Despite all this obviously being fiction, and being read out in between adverts for lawn fertilizers and car insurance, a large number of listeners believed it and and bombarded the doctor with requests for a vaccine. This isn't the only mass panic caused by radio sci-fi. In 1938 Orson Welles broadcast an adaption of War of the Worlds (an alien invasion story) as though it were news bullitens. People panicked and complained in equal measure. Requirements: broadcasting equipment and a paranoid audience. 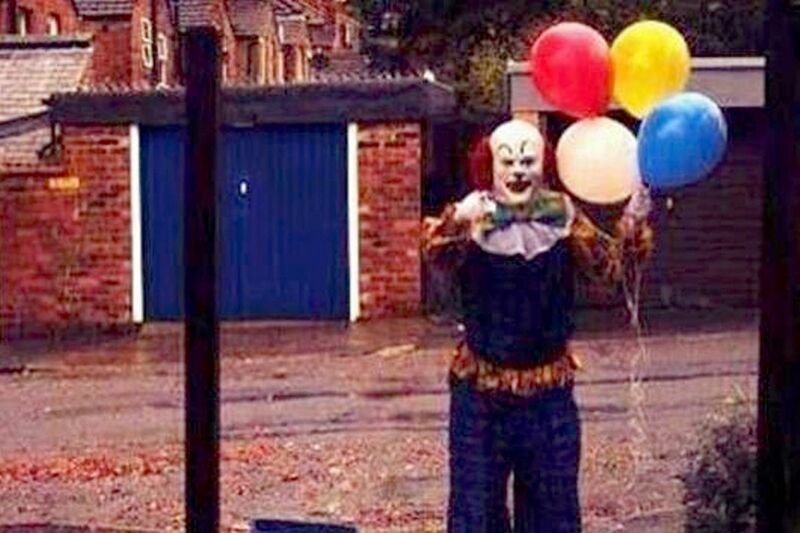 These guys have been dressing up as a killer clown and scaring the crap out of people in car parks. It's unclear whether this was meant as a prank or whether they're just fiercely in favour of public transport. What you'll need: A suitcase you don't mind being disposed of by a bomb squad. Requirements: Two monitors, one crappy friend. Requirements: A mask, a computer, double glazing. Full video on Youtube here. For full prank see his youtube video, though you get the gist. Requirements: Fairly simple. Dress up as something horrible, then hide inside something fun and find some children to scare. Like a kinder egg toy that makes you soil yourself. It's one you should only watch if you feel you haven't seen enough videos of crying people wetting themselves with fear today, but are too shy to google it. Requirements: A lift, a scary child or a coffin, and towelling. Requirements: A chair, upholstery skills and the legal right to be allowed within ten feet of the intended victim. Requirements: A bottle, some string, a washing basket and assurance from your friend that he never wants children. Requirements: A suitcase that moves itself somehow, a woman dressed up as some kind of monster and a callous disregard for public bathroom safety regulations.